Exactly what it says on the tin. 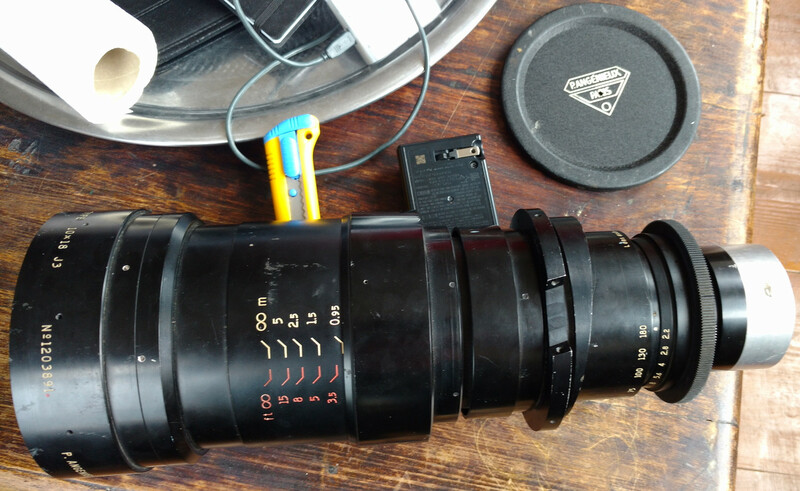 I recently acquired an old manual Pierre Angenieux 18-180mm f2.2 lens, but I can't find any documentation for it online. As far as I can tell, it was built for use with TV cameras, given the push-pull focusing mechanism and truly ridiculous size/weight (I don't have a scale, but I'd estimate it's upwards of 7 or 8 kilograms). Plus serial number 1203891 and aperture/focal length information. 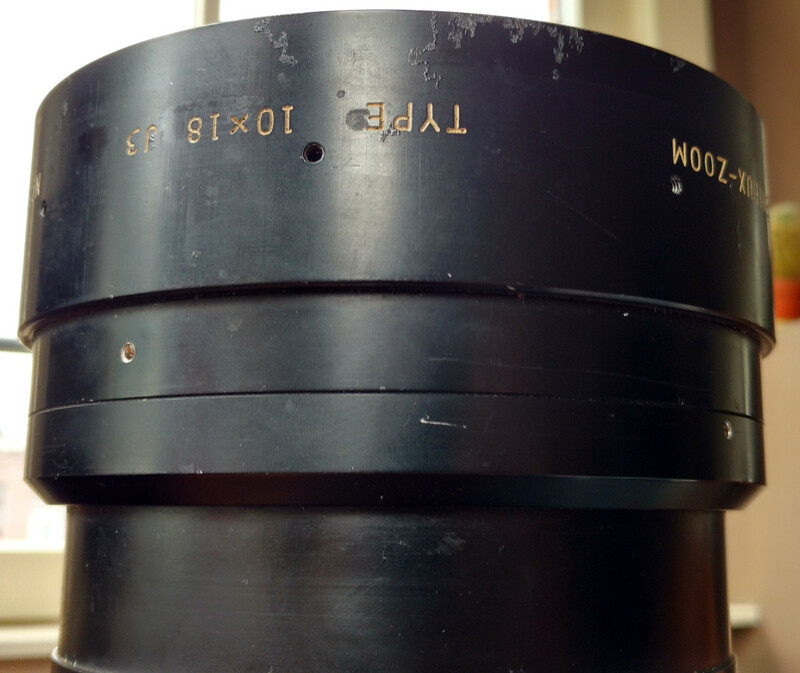 The focal length ring also has a label, in English, Lens made in France (implying it was made for export). This lens has clearly had a hard life - there are numerous gouges in the metal of the barrel, and more than one place where bare metal (vs. the black anodization) is visible, which, at least to my mind, implies a couple of decades of daily use. As befits its use for TV/cinema, it has a continuous (i.e. 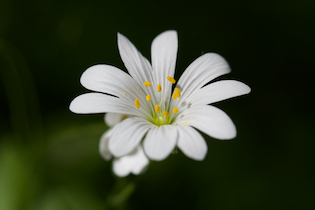 not click-stopped) aperture ring. That silver bit at the body end of the lens is, I believe, a later addition. I'm specifically looking for documentation on it - manuals, history, that sort of thing. Or, at the very least, a spec sheet or images of what it's supposed to look like. These were manufactured between 1963 and 1973. They were originally made for 16mm film cameras. They could be (as has been stated in one of the answers) used for Plumbicon cameras. I have one of these lenses mounted on a Norelco PC-70 studio camera. I believe the plumbicon tubes were 30mm in diameter. The lens would not cover a full frame 35mm unless you were using a telextender, of which I have three, that came with the camera. There is a 1 1/2x, 2x, and a 2 1/2x telextender if I recall. The Norelco was the state of the art TV camera from the late '60s, until the early '80s. This is one of the earlier long range zooms for TV / motion picture. Many generations later, your lens is now this beast weighing in 13kg and costing $100,000. 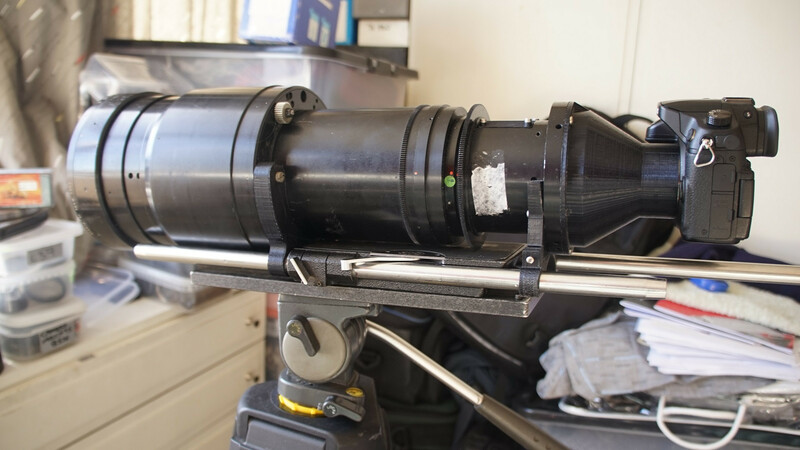 I have a similar Angenieux plumbicon zoom, the 15x18E (18-270mm). I removed the (unknown) camera mount and 3D printed one for Micro four thirds (but the lens just covers APSC too, so a NEX mount would be possible). Plus a few prints for 15mm bars and a blanking plate for the prism viewfinder! Focal length is encoded as 10x18 (18mm-10x18mm), i get this from searching through ebay. As cinema lens, it probably has C-mount and smaller field of view (up to 22mm in diameter when FX is 43mm). This means some limitation on adaption this lens for photography on DX and FX cameras. Not the answer you're looking for? Browse other questions tagged old-lenses equipment-identification or ask your own question.